Even the stars love taking some time off to visit the theme parks! 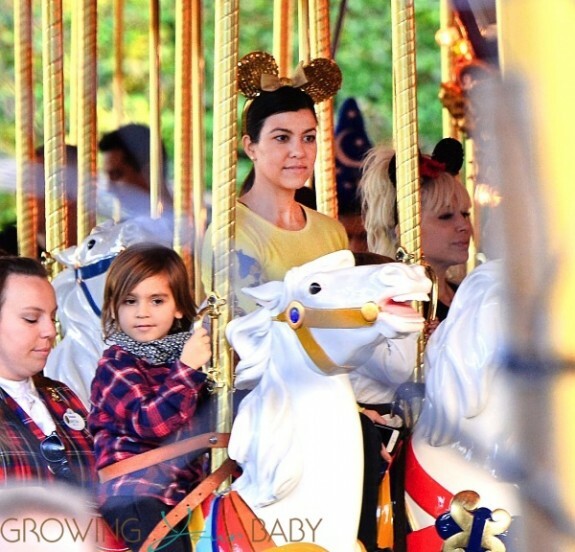 Reality TV star and fashion designer Kourtney Kardashian enjoyed some downtime at Disneyland on Tuesday(December 11th), where she was spotted with her two children, Mason and Penelope, celebrating Mason’s birthday. Kourtney made dreams come true for her little ones, taking them to meet all of their favorite Disney characters at the magic castle and then joining them on some rides. 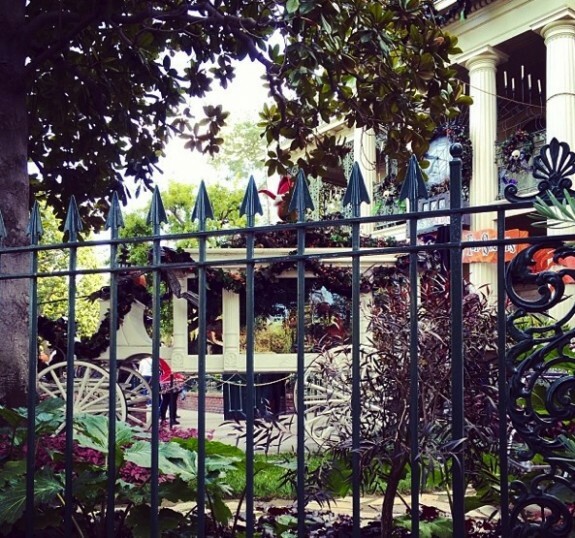 She was seen riding the carousel, with baby Penelope sitting safely in front of her while Mason rode right by her side. It appeared Kourtney went solo for the outing, but was accompanied by both a nanny and a Disney staff member as she and the kids strolled around the park. She was very festive for the fun day, decked out in gold, glittery Minnie Mouse ears and a yellow, long-sleeved Snow White t-shirt, which flaunted an adorable Seven Dwarf design. Mason Kardashian looked cute and stylish in a red and blue plaid shirt, while baby Penelope rocked a shiny pair of combat boots over her little black leggings. Kourtney carried Penelope on her hip through the park, while Mason was pushed along in a stroller. The family also enjoyed the Winnie the Pooh ride, all three of them sitting together in the front of the ride carousel. Penelope was once again on mommy’s lap, while Mason sat by their side. It looks like Mason’s birthday week was a success and that the family created some lovely memories!